Catacomb Apocalypse is the final game in the Catacomb Adventure Series. It was set in the distant future, accessible via time portals, and mixed fantasy and science fiction elements, pitting players against robotic necromancers and the like. 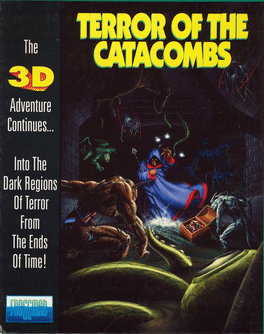 It is also the only game in the trilogy to have a hub system, though it was present in the original Catacomb 3D. It was developed by Softdisk and later republished by Froggman under the title Terror of the Catacombs.